Find out about occupations that interest you. Ever wonder how a company decides on career occupation descriptions? Maybe this is the first time you need to write one or perhaps you're a job-seeker just beginning to read over the many job ads out there. Whether you are an employer or an employee, it helps to know why job descriptions play such an important role in business. Career descriptions are necessary for a company to conduct business. Typically job descriptions are part of the start-up process, however, new jobs are added or current ones revised due to company growth, changes in the company's product or business restructuring. 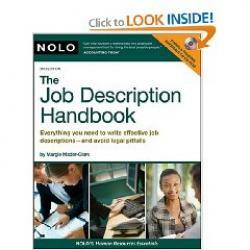 Without job descriptions to guide a company, employees might not know what is expected of them. Employee reviews and assessments are based on an employee's performance. Unless the requirements are in writing, it is difficult to ascertain if the employee is meeting all expectations. Other legal issues also mandate a company keep an updated catalog of all job descriptions. 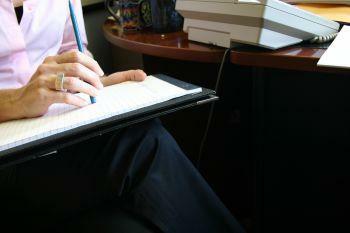 Writing a job description is a process that starts with the employee who does the job. If you are starting up a company and need to create official job descriptions, then the best place to start is the main resource used by your industry. You will begin the process by discussing with current employees and getting them to write down everything they do that's related to performing their jobs. Discuss each job, adding any missing elements. Organize the job to convey accurately the duties, functions and requirements of each position. Failure to separate duties from qualifications. Misinterpreting the level of skills needed to fulfill the qualifications, such as number of years performing each duty. Failure to enlist employees' help in creating the description. Neglecting to stipulate the education level required. Job descriptions can have a huge impact on the expectations you have for your employees or what is expected out of you as a worker. Job descriptions give you a guideline for your hiring process. It is a valuable tool in helping you assess a person's qualifications for a specific job. Everyone wants to hire the ideal candidate, but few people will meet all of your expectations, so you need to plan and know which areas you can afford to be lenient. Determine how much of the job criteria an employee must meet and then provide adequate training so the employee can grow into the job. When you are a job applicant, the description is more important than the title. Be certain to read the ad thoroughly. Sometimes a title can be deceiving. An Office Manager title might imply typical managerial duties, but once you read the description you realize the ABC Company has additional duties for their Office Manager such as being responsible for payroll. Make sure you understand all of the qualifications expected of you before applying for a job. Read over the duties and ask yourself if you have experience doing these tasks. The job requirements are there for a reason and it is your responsibility to understand what the employer seeks and then determine if you are qualified to fulfill those needs. Not everyone will meet all of the qualifications and requirements, if you can meet at least 70 percent of them, your application will be considered over someone who only meets 30 percent. If you are offered the job, ask for a copy of the job description. An employer should not have an issue giving you one. Knowing fully what is expected of you in any job is the only way you can completely fulfill your duties. By familiarizing yourself with various career occupation descriptions in your industry, you will be prepared the next time you need to write a job description or apply for a job.